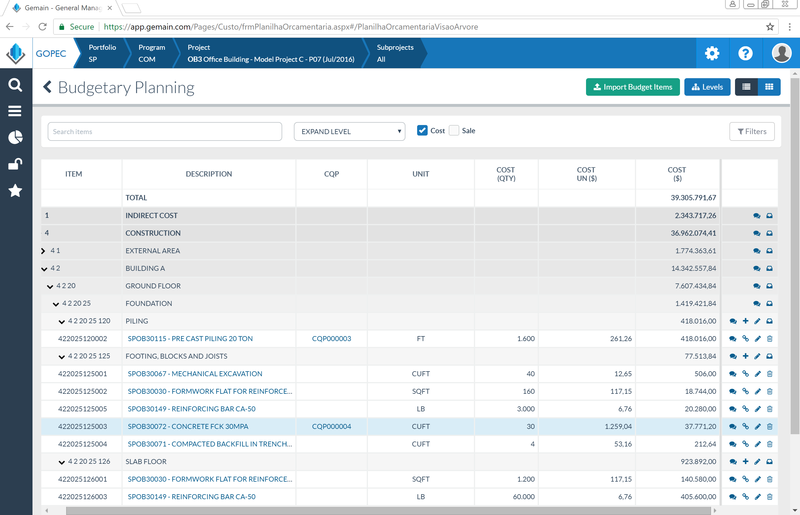 Add an Earned Value Management System (EVMS) to your budgeting and planning processes, allowing detailed analysis and projections. Build a Budget that effortlessly guarantees the permanent integration of Scope, Time, and Cost. Respecting the triple-constraint. Save countless hours and reduce human error by having your WBS, Resources, Price Compositions, Activities, and Schedule in one database. Gemain pulls selected project from Procore. Gemain pull all data form Procore`s “Cost Code List” under “Administrative Settings” and pushes into Gemain`s “Crossed WBS” tool. To make sure all Cost codes are categorized correctly and automatically. 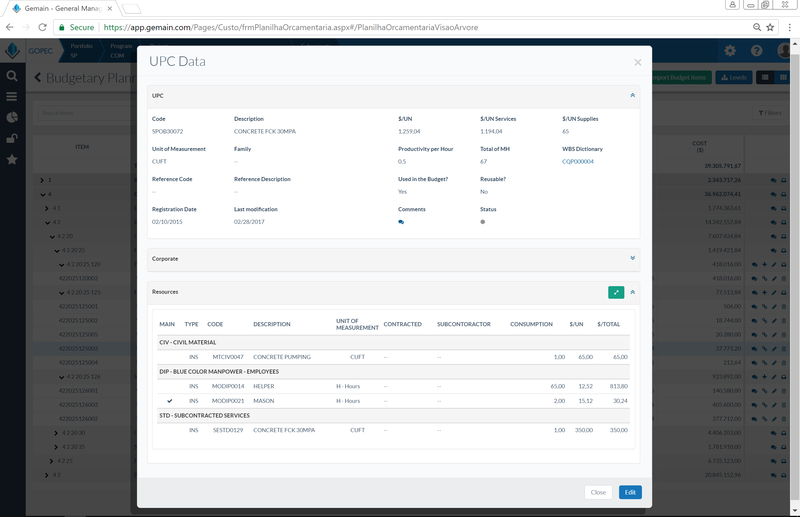 Gemain’s pulls from Procore the registered Cost Types and applies it to Gemain’s UPC Families. This way the budgeted items are already fed to Procore categorized. Gemain users associate project activities to Procore`s structure via Gemain`s tool and pushes Budget information according to Procore`s Cost Codes back to Procore. Gemain is a combination of software and methodology developed specifically for construction projects. With a background of over 30 years in the field, our goal is to provide a platform capable of correctly applying Earned Value Management to the project`s control. The initial step of structuring, budgeting and scheduling, are the stepping stones to effectively Forecast all costs and consequently deviations as early as they occur, with the ability of instantly locating their root causes.